Sara Leonard, MBA, CFRE, is a solutions-oriented consultant, trainer and coach. She received her Bachelor’s Degree in Business Administration from the University of Tampa and an MBA from the University of South Florida. 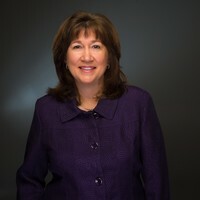 She is a Certified Fundraising Executive, has been named as a Master Trainer by the Association of Fundraising Professionals and completed the BoardSource Certificate of Nonprofit Board Education. She founded the Sara Leonard Group to deliver excellent professional guidance, education and facilitation to those responsible for governance and board development. Instruction is based on nonprofit sector best practices prescribed by the Association of Fundraising Professionals (AFP) and BoardSource. She works with each client to create custom solutions. She strives to be “your partner in doing more good” with each engagement. As the founding director of the Nonprofit Leadership Center’s Fund Development Academy, Sara created an extensive curriculum of fundraising and board governance courses. She has had the privilege of working with organizations to achieve their fundraising goals through instruction, coaching and consulting. She continues to serve as an instructor for the Fund Development Academy. She has worked in the nonprofit sector raising funds for healthcare, educational and cultural organizations.